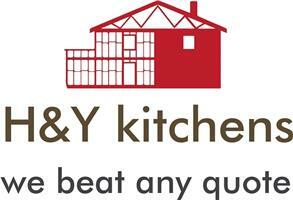 H &Y kitchens small company specialising KITCHEN & BATHROOM, we are also able to take on complete property REFURBISHMENTS. We offer a supply and fitting services in almost all styles of units,doors and work surfaces with all well known appliance makes. We provide ELECTRIC and GAS safety certificates and have Liability insurance, we take pride in the quality of our work and provide a personal service to every customer we serve.